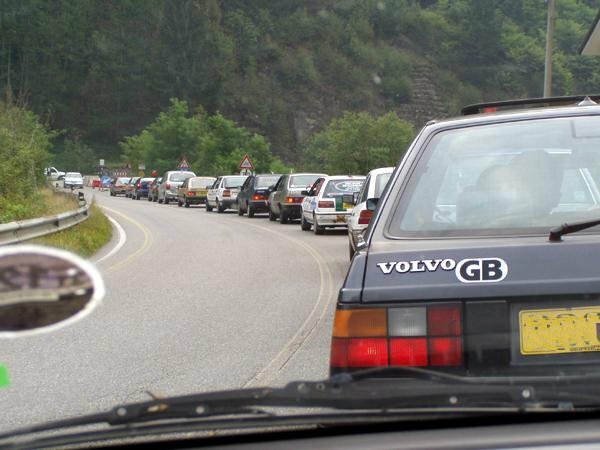 Blog : Is the age of the banger rally over? Regular readers might recall that over the years, AROnline and austin-rover.co.uk has taken part in a considerable number of banger rallies over the years. Our cars have been rather interesting over the years, ranging from a Mk1 Austin Allegro 1500 Super (above) that refused to die on its way down to Naples, to a boring grey Rover 800 that gave us some of the most amazing adventures once in the south of Italy. One of the best ones was in a disgusting (but mechanically well-sorted) Skoda Felicia (below) which Andrew Elphick bedecked in a wonderful paint job that was a pastiche of the ambulance in Cannonball Run. All great adventures, where brilliant friendships were formed or strengthened. But since my trip to Romania (read the link if you fancy a laugh) to meet the Street Safari event I should have (but never) competed in, the Rat Rod Rally, ended in (personal) disaster in 2011, I’ve not been back on one of these events. And now, two years on, I’m really feeling the itch now. It does feel like the world of bangers has changed, too. Given it’s a decade since my first one, that’s understandable. But back in 2003, the rules were simple – anything went on the car, as long as it cost £100 or less. Nowadays, the era of the £100 car is over – unless you have friends in the trade, or some generous benefactor, you’re simply not going to bag yourself a £100 car by trawling eBay, Autotrader, Gumtree or wherever. With the economy still ravaged from the effects of the 2008 credit crisis, people are fighting for every penny they can. And ropey old cars are worth £180 per tonne at the moment – so why would people sell their old tat for less, just to see them go out in a blaze of glory? Ah well. Perhaps 2003’s £100 should be lifted to 2013’s £350? Perhaps indeed – that would certainly improve your chances of finding a reasonable car with a wedge of MoT (and perhaps even tax). But there’s something else afoot here, which I don’t really want to confront: 2013’s bangernomics barge is way less likely to be of any interest than 2003’s equivalent. When looking through images taken on the 2004 event – on which we took a Rover 216GTI – the car selection was interesting. The image above is a bit of a snapshot, where you can see Volvo 300s, Saab 9000s and even a Cavalier Mk2. All are interesting in their own way, and I’d be happy to travel down to Naples in any of them. The British iron was very well represented, with a smattering of Rover R8s, Metros and 800s to keep us enthusiasts happy back then. But now, the landscape is a whole lot more barren. After much searching around, I have found that anything ‘retro’ is now out of the banger rally sphere of influence (perhaps no bad thing) leaving 10-15 year old bread and butter – which, as we all know, is generally as interesting as unseasoned yoghurt. Doing a postcode-based search for cheap banger fodder, I’d now be staring down the barrel of Corsas, Meganes and Mk3 Golfs, something I really don’t want to consider. Rovers are now getting thin on the ground – knackered 75s, interstellar 45s or 25s in need of a clutch or coil pack just don’t hold the same appeal of the R8s and 800s we used to take. There are some interesting options out there of course, but a banger rally for Peugeot 406 coupes and Alfa Romeo 156s might be a bit limited in appeal. So is the banger rally now a thing of the past? Or is there still plenty of potential out there to have fun on the other side of the Channel with a cheap and (not so) nasty banger? I’d say it’s still possible – with work. After all, it comes back to friends and adventures. Drive in convoy with your friends in the most beautiful scenery in Europe, and it really doesn’t matter what you’re driving. Really. That’s my take on it. But what do you guys think? Do these events have a future? Even £350 would be hard work, plus factor in inflated petrol prices (factor in a minimum £1k) and money required to make the car safe for European travel and what was once a budget beano becomes a rich man’s pastime. It worked well with Elphick, Dave and I.
I think the era of bangernomics itself is over. Like you I was surprised how much secondhand cars go for. Insurance is outrageous, unless you have years of no claims. Fuel is at ripoff rates, and then there is the cost of parts. There is no reason that all the eclectronics in cars should be so expensive, alas manufacturers have found a way to rip off their customers. A part that should cost £10, in fact cost 100’s. We rarely got change out of £3,000 for each of the rallies we’ve done, and that’s a lot of money no matter how many share it. Am I wrong to applaud the demise of these wasteful events? Yes, some cars make it there & back, generating fantastic stories, but many are abandoned because they represent little to those taking part. I only know two close parties that have engaged in such events: one has reused the same car multiple times because they got it for a song as enthusiasts & they refuse to let it die; the other is far better off than the majority of my friends, and did it as a jolly. Despite the limits on vehicle price, it’s always struck me as a rich man’s folly, a way to convince themselves that they’re having fun on the cheap like “normal people”. The Street Safari group that ran these rallies just ran their last on in the USA (BABE-Big Apple to the Big Easy – New York to New Orleans), and it appears that the same has happened in Europe. I wonder if liability issues, insurance costs, were factors as to them. I would ads some other factors in the death of these events. The scrappage schemes to pump up the sales of new cars in the UK and USA several years ago cleaned out many possible ‘clunkers’. Many cannot afford new or newer used cars, so keep running clunkers as have no alternative so fewer are available for sale. Parts have gotten too expensive, can’t be rebuilt, too complex to fix but by dealers, so finically, it is better to sell a beater for scrap then fix it. Junkyards, have disappeared no only due to scrap values remaining high, but high operating costs from business fees to property taxes, increasing environmental laws and many communities chasing out such businesses as undesirable. Some third-rate car dealers have bought cars close for scrap, buying them, doing minimum work on them and reselling for profit, much more than real value to the lowest tier customers, often with in-house financing with extortionate interest rates. Many possible clunkers may not be able to pass MOT or the = in the USA, especially as to pollution tests. One final factor is the collapsing middle class people who did these things. Too many no longer have jobs, or ones that pay decently, they have no benefits, no paid vacation/holiday times, debts and so no longer can afford to do them. MOT just up, but a droplink, fresh tyres and a rebuild of the rear caliper would’ve seen a fresh ticket for a comfortable and reliable (especially w/ refurbed main relay) but thirsty automatic cruiser. Big petrol cars can be had by the dozen. The budget would need increased though. But 500 quid would get you an XJ, a Lexus LS, a 7 series, a Merc from just before the cost-cutting phase. The scrappage scheme and the increased price of scrap has seen the cheap 50 / 100 quid car become a thing of the past. Last (and only) car I scrapped 10 years ago I got a crisp twenty quid note. The last big rally I read about – the Peking to Paris, ended in tragedy as a competitor was killed in a crash. Within Europe might be fine, but areas such as Africa and the middle East are becoming increasingly dangerous. I’d like to see a lot of bangers from the UK, shipped to the states, and rallied from east coast to west coast! I think they’ve got legs, Keith. There are many reasons they are falling away though: disposable incomes, exchange rates, scrap prices and fuel costs amongst them. I’d love to do another, and will one day. Maybe we should hatch a plan? Or maybe we should really be calling time. PS Nice Volvo in the top pic 😉 It belonged to a friend of a friend, and I found it dumped in his front hedge in Southend. £75 later and a jump start and it was on its way home with me. Remember those days though? When we had to pay someone to take our scrap away, the pikeys would leave your old shite alone and most of the laybys of the UK featured dumped cars? Keith, point me in the direction! Are you doing Martin’s Car Mechanics run later this month? I don’t even know about Martin’s run. Has he publicised it to the wider world? The Internet created and killed these events. 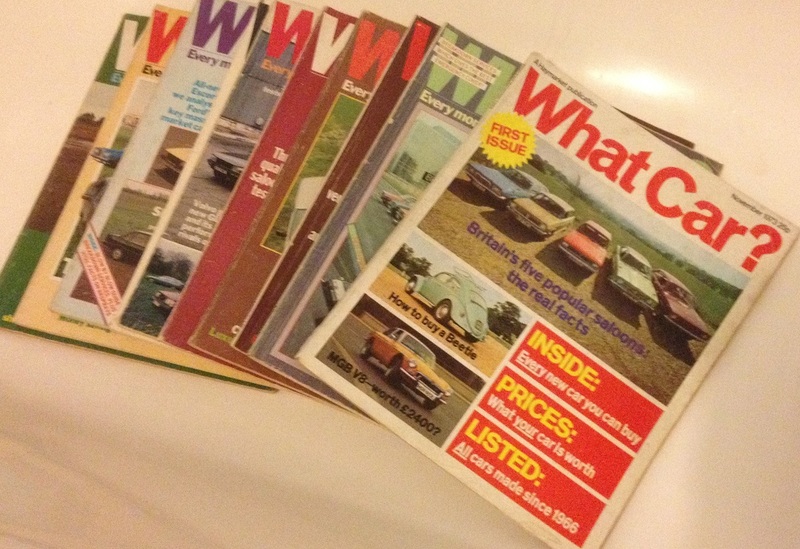 In the beginning the fledgling web as a social tool bought people together, with these strange exotic locations, once purely the preserve of Car magazines halo’d journalists. Now you can google maps god knows where from a bus stop. The surprise has gone, but more importantly so has the naughtyness – in 2013 big brother IS watching. Last week I found my first banger rally pack from 2004, whilst packing for a house move, and I just couldn’t bin it. Not sure, i only know about it from Steven’s thread on the other channel. Elphick, I still have my 04 pack somewhere! That was great, turning up in Calais not knowing what to expect! Ahh, those were the days! If i organised one now i would ban sat navs. I’m sure they’ve taken a huge part of the challenge out of it. Speaking of challenges, the early events had so much better things to do. Enough with taking pictures of things already! I think they are a great idea and am planning on doing one with a couple of friends maybe next year. Only problem is, some of the organised rallies charge so much for you to even take part (before living expenses, petrol etc even thought about) that it didn’t make sense. Also, you’re spending so much time driving and the itineraries didn’t give you more than a few hours to explore the amazing places you visit. Shame considering all the petrol you’ve used getting there..
And going it alone wouldn’t be as much fun! @12 I like this idea, and requiring money to be raised for charity rather than to fund the organisers would make it a bit more palatable. Min. £500 of donations and max. £500 of car might work. As mentioned the scrappage scheme cleared out about 3-4 years worth of tidy, cared for cars. Those left were usually ones run by those who didn’t care and would simply run a car in to the ground. So not only are there few tidy cars left, anything small below 2.0 is worth £600 minimum. Also, the costs were quite a bit, no worse than a week or two in Spain probably, but still a fair chunk of dough. Like my old man says about stage rallying “It’s something you do when you have money to spare”. I certainly had to stop once I bought a house! That said, I would happily do a banger event in a 25 or 45 diesel. If you look hard enough you can still find them in decent condition and cheap, but mechanically there is very little to go wrong. I’d really like to do one of these events but I agree that the economy has probably made them a thing of the past. Realistically you’d need to set a car value at between £500 and £800 to find anything that doesn’t deserve to be recycled as a fridge. Perhaps keep costs down by doing it within the UK? A bangernomics LE JOG could be fun. To be clear: easier to fly home IF the car goes bang in a big way. StreetSafari used to do a LeJog run, End2End. It was great fun, and was a camping / caravan event to keep costs down too. Supermarket pasties and booze were order of the day. John o Groats is a pointless shithole though. Are there no Focuses, Vectras or Octavias in range? And in a couple of years, X-Types for banger money maybe? My view is that people, rather than cars, are the key factor here. In particular, where are the men aged between 25 and 55 who used to form the mainstay of banger rallies and other voluntary events? I accept that the birth rate was lower in the 1980s than, say, in the 1960s, but look at sports clubs, ‘with-it’ churches, classic car events etc, and you’ll see that a whole demographic group is becoming more and more conspicuous by its absence. All the aforementioned groups seem to attract interest amongst men under 25 and over 55, but where are the young men? Certainly not in the few remaining pubs, or taking part in the increasingly feminised sport of running. But why? Maybe those with the ‘get up and go’ tend to be useful and worked harder in their day jobs. Or is it more a case of fewer young men being single, thanks to internet dating, and wives and girlfriends throwing a wet blanket? Or perhaps just a much more risk-averse approach to everything. I’m 30 so at the lower end of the 25-55 demographic. 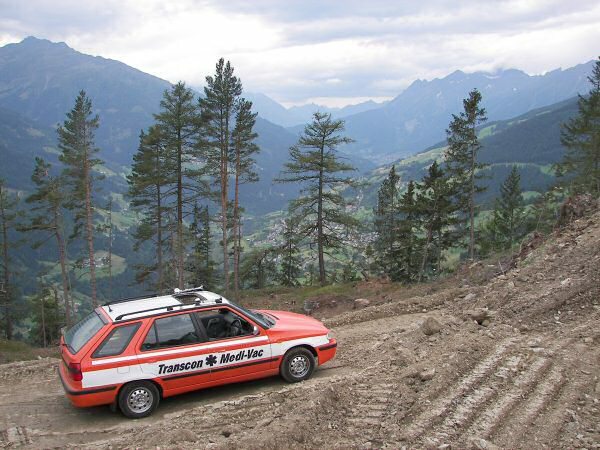 While I would like to participate in a banger rally one day (and, indeed, my lottery dream is to ship whatever I’m driving at the time to the US and drive coast to coast), I probably wouldn’t have the time or money to prepare and take part in a cross-Europe car rally. I do have an other half, and holiday plans involve her. As much as I’ve managed to coax her into road trips before (Belfast to Silverstone was a good day), across Europe in a cheap car mightn’t go down well. When I was a student, myself and a friend briefly had a plan to drive my ZX diesel to Denmark to meet another friend. When we priced the ferry tickets, we shelved the plan. It’s like the saying – you’re young, you have time and energy but no money. You’re middle aged, you have money and energy but no time. You’re old, you have money and time but no energy. My daily runners are usually bangernomic finds, never mind disposable travel items. The last couple of weekends I have attended classic car rallys locally, (though being disorganised this was mostly through being at the right place at the right time). For me, a few of the cars such as mk5 Cortinas, Rover SD1s, W123 Mercs bring back nostalgia from my childhood. Anything older though then mid 70s I appreciate more as a historical piece, rather than memories. Harder to get cheap cars, wife and kids, al-Quaeda running amok all over North Africa, and also, depressingly few people can identify a spanner froma screwdriver these days: I was the talks of the office cos I changer my own alternator!!! Having run the Dakar Challenge for 10 years,(and can I say I invented the Banger Challenge concept in 2002?) I have found out a thing or two on what works. The Mongol run is the market leader and the drive to Ulan Bataar is epic. You do need at least 3 weeks as it is one heck of a distance.My runs to Africa are still popular and as you need 3 weeks,I also do 2 week jaunts to Morocco for the short of holiday. I am afraid European trips are too easy so I dont do them.however they are convenient for newbies.Cars in Devon (where I live)are cheaper than London way,so a £300 R8 with 1 month MOT is still findable. The new quest is buying a car and driving it home: easy to fly to Poland,buy a Fiat 126 for £200 and sell at a profit back in the UK.I know of someone who bought an Anadol in Turkey this year and drove it home.One day I would like to buy an El Nasr 128 in Egypt and drive that back:anyone fancy the ride? I agree you invented the concept. Absolutely. P.S., I’ll join you on your drive back from Egypt? Are you going to ferry out of Alexandria? Or drive round? Ha. Looking at Auto Trader, it’s difficult to find a runner under £200 – with current metal prices I guess it’s easier these days to sell a car for scrap and have it collected knowing there will be no subsequent hassle. Why not have an AROnline rally, cars must cost under £500 and be from the BL companies. Me and my other half have been wanting to do a banger rally for years, and have a suitable arg car, so would be up for it. In 1982 I lead a team of three drivers in a bid to set up a world record for circumnavigating the coast roads of Mainland GB in aid of the Antony Nolan Bone Marrow Disease Appeal. The idea was to sell each of the 4323 miles for a pound a mile. Anyone who has done significant parts of that route will know the extreme diversity of our coastline – and the challenges it can present. How about a banger challenge doing that run? I’d buy a cheap Alfa 156 just for that event alone (on the basis I’d never find a 2CV for the right money). Did I mention we had a brand new Sprite caravan on the back? If your going to re-enact that one though be sure to get the tow-bar checked by a metallurgist before you leave. Long story! Wolseley man blog that tale immediately!!!! Me and my mate were on about this only a couple of weeks back. We did the Scally Rally Road2Rimini in 2008, and have wanted to do another rally ever since, but 2008 seemed to be the ‘peak’ year, ever since the rallys don’t seem to have been as popular. As the article says, recession, scrappage scheme, etc. all played a part. Also the market seemed to be saturated with hundreds of different rallys. People who probably did a rally themselves, thought they could organise a better rally and had a go at it, usually failing. I think the 2009 Road2Rimini only had about 30 people turn up, and their ‘Arctic Rally’ only had about 7 people turn up. They did do a UK rally, the route going from somewhere in Wales to Scotland, but most of the people who took part in that seemed to be from the South East, but I live in East Lancs and spend pretty much every day travelling around the roads on the route for work, so it wouldn’t have been much fun! Shame really, as we met some great people on the Road2Rimini, and still keep in touch today. It’d be great to do another banger rally, but I think if a euro-road trip was to ever take place again, it’d probably be in our daily drivers. The scrappage scheme destroyed thousands of serviceable older cars that could still be running now and if they are Ford or Vauxhall, the parts are still quite easy to find. Mind you on my travels to the Scottish Borders today, I saw a real rarity in a driveway in Eskdalemuir, a Skoda Favorit Estate, the kind of car in its day that was only slightly more desirable than a Lada Samara and not something you’d expect to see now. The problem Keith is your age! I bet when you started, you used cars that you remember from childhood / first started driving. Now those aren’t available, and cars from after that period don’t hold the same interest. There will be a new generation for whom Corsa’s and Megane’s are retro, classic, and interesting. These people will keep it going. Whilst not quite a “Banger Rally” in the truest sense, the Club Triumph 10 Countries Run encompasses alot of what you are describing – this event run every 2 years takes in 10 countries, 2000 miles in 4 days, taking in several alpine passes (Stelvio etc.) some fantastic driving roads. It is cheap to enter, has teams entering in a wide variety of cars from £500 Acclaims, Toledos, Heralds, Spitfires, 2000/2500s, TR7s and up to more expensive machinery including Stags, TR3-6. A great event that sees 75 Triumphs motoring around Europe all helping each other out in the event of the inevitable breakdown or 2 (including changing a GT6 diff half way up the Alps, changing a TR6 clutch at the roadside or even replacing a valve on a Vitesse (a citroen part was found to fit!). The teams hve the option of raising money for their own charities also. Come on Keith, head out to oz for the Sh*tbox Rally!! 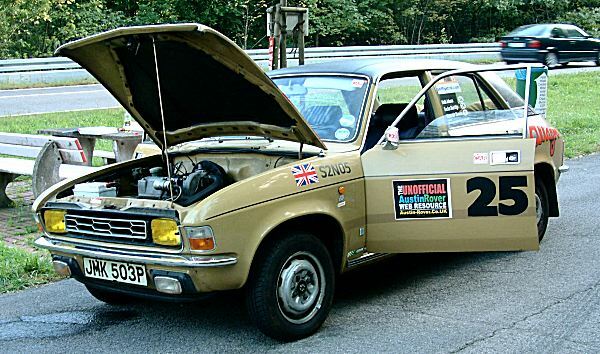 Just have a look at some of the topic specific forums for personal experiences of the event – including a team of 14 Americans that came over the pond specifically to do the event (they purchased 4 cars in various states of disrepair online before they arrived – 2000 estate, Dolly Sprint, 1300FWD and a nice Mk1 2000. As the organiser of such an event (Monte Carlo or Bust), I can assure you that there is still a market for such events. Our 2013 event sold out all 80 places and over 200 people took part. I agree with many posters who state that the target audience has changed over the years, but that is true for many partcipation events and hobbies/ interests. In my experience it boils down to the availability of time and disposable income. We see fewer 2 person teams nowadays – increasing your group size is one sure way of keeping the costs lower. I’ve also observed a fall in motor-trade professionals taking part and a rise in vocations such as teachers and charity workers. There’s an ever-increasing number of ways for people to get their thrills these days; mass participation sports e.g Toughmudder, charity fundraising etc so the key is for events such as ours to stay in the public eye if we wish to survive. Social media can actually be helpful – but we really on good guys like yourselves talking about how much fun these events can be! Banger rallying great way to to have a massive adventure for a small outlay. But I have noticed other the years that people are stretching the budget of what’s in the spirit of the Banger rally. 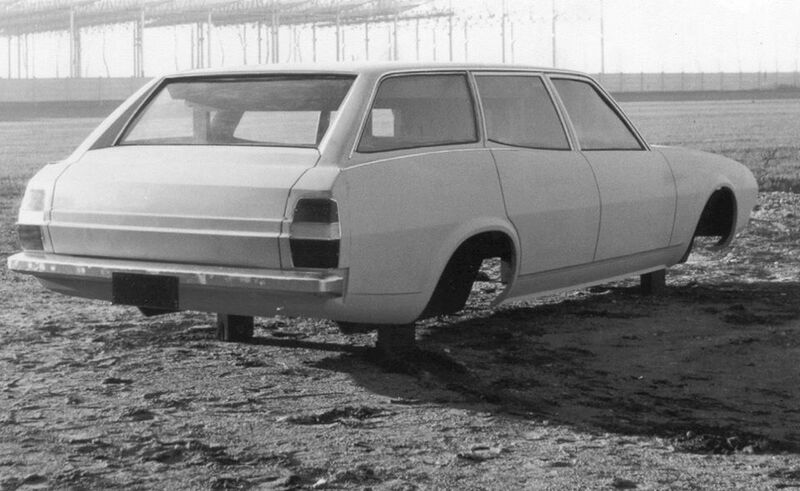 There are still plenty of cars out there that fit criteria and there nothing quite like taking a car and turning it into a ridiculous Creation. As an organiser, organising a route that is appealing and fun to drive is key.Speaking to so many rally participates who all echo the say massage of sitting on motorways for hours not seeing any sights just to get through a country or to a town. Not what this should be about.